Museo del Diseño de Barcelona shows exceptional objects through 5 collections whose excellence and singularity make this museum a world reference. The museum comprises more than 70,000 objects and is the result of including collections from the Museo de las Artes Decorativas (decorative arts), the Museo de Cerámica (ceramics), the Museo Textil y de Indumentaria (textiles and clothing), and the Museo de las Artes Gráficas (graphic arts). It also includes the most recent collection, Product Design. The coexistence of these collections in a same space allows a multiple view of the history of design that has lived with us for centuries to the present time. 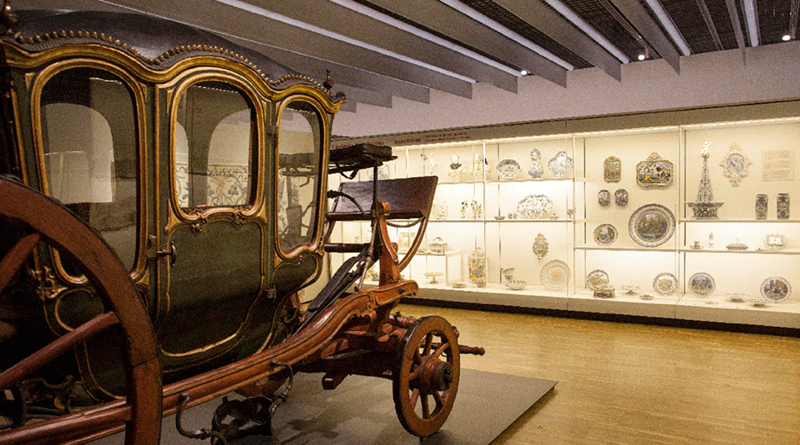 The Museo del Diseño de Barcelona displays an important collection of nice objects used daily by many generations that deserve to be preserved and admired in a museum. Furniture, ceramics, glasswork, metalwork, watches, enamel, carriages… are exhibited in organized groups that constitute unique samples of the so-called applied arts or decorative arts. In this regard, the Museo is a real memory of the European beauty, with the special presence of Spanish and Catalan production. The historic clothing collection contains wonderful garments from the 12th century to 1920, both international and Spanish. This collection includes accessories as gloves, hats and footwear, as well as walking sticks, sunshades, handbags and fans. The remarkable collection of corsets, bustles and crinolines is surprising. With pieces internationally renowned, the Textile Arts collection includes Coptic fabrics (3rd-11th centuries) from several excavations in Egypt, Hispano-Arabic fabrics (12th-15th century), liturgical ornaments, and Gothic, Renaissance Baroque and Neo-Classical fabrics. The collection also includes the presence of Flemish tapestries (16th century), several calico and prints made in Catalonia and France, lace and needlework from European production centers. Haute Couture is represented by an extensive collection of dresses by outstanding designers such as Cristóbal Balenciaga, Paris, and Manuel Pertegaz, Pedro Rodríguez, Asunción Bastida, Carmen Mir, and Santa Eulalia, Spain. The accessories include the collection of hats by Balenciaga and Pedro Rodríguez, and other relevant fashion houses in Barcelona such as Badia, Dols Martí and Paulina. Paco Rabanne, Elio Berhanyer, Antonio Meneses, Margarita Nuez, Roser Marcè, Antonio Miró and Sybilla are examples of the Prêt-à-porter, from 1960 to 1990. 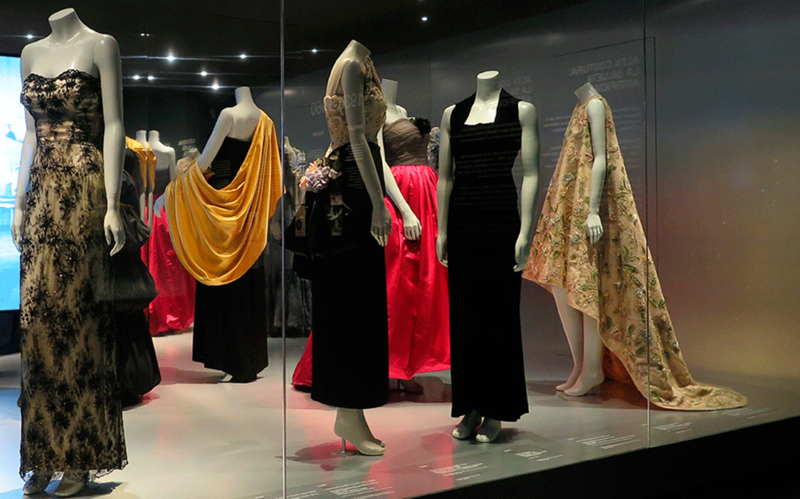 The museum has a large fashion photography collection that begins in the early 20th century to the present. This is the only collection in Spain that holds such a variety, and the first that remains as a permanent exhibition. It includes the best designs, the most outstanding companies, and most Catalan and Spanish artists since the 1930s, 20th century, to the present day. Furniture, lamps, vehicles, vessels, instruments and equipment are shown in this collection of more than 2,000 pieces. The collection continues to grow according to the new criteria, and includes ecodesign and the production of 3D printed objects. This is a living collection that grows regularly. 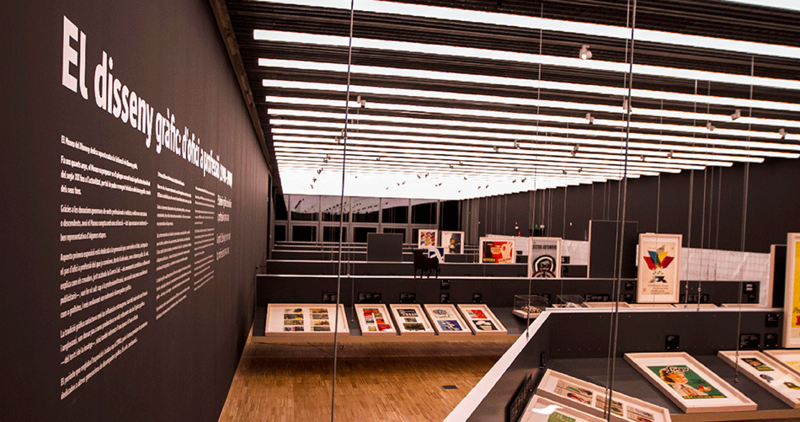 Graphic Design Collection begins with some examples from the first decades of the 20th century, with Catalan graphic artists who started and transformed this trade into a profession. This collection includes posters, calendars, displays, cards, boxes, cases, labels, printed forms and other objects. An area with information and documentation related to the arts of the object and design. The Documentation Center includes more than 22,000 documents: books, magazines, and private archives –from institutions, companies and professionals-, special collections dedicated to engravings, photographs, company catalogues and specialized databases. Great patrons from Catalonia have donated to the Museum the relevant collections that are currently the core of the permanent exhibitions. This is a demonstration of the nobility of the Catalan civilian society from the early 20th century. The building was specially designed and built to host the museum collections. Singularity and functionality remain united in this project.